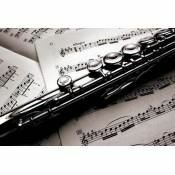 Yamaha YPC-62 Professional PiccoloThis has long been a favorite of professional musicians and can be found in many top orchestras. Characterized by excellent intonation and playability. It features a headjoint and body of carefully seasoned grenadilla for a warm full tone.FeaturesProfessional Playab..
Yamaha YTR-9335CHS Artist Model Professional Xeno Series TrumpetThe primary consultant for the CH Series was John Hagstrom of the Chicago Symphony. In addition to testing parts and later prototypes with John and his colleagues, some very famous vintage trumpets owned by the CSO were used as benchmar..
Yamaha YTR-6335SYamaha's professional models are medium-weight for a perfect all-around playability. 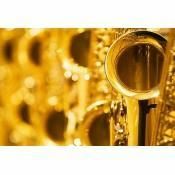 They're at home in any setting, from studio to big band, concert band, chamber group, or orchestra. The 6335 features a medium-large bore and a yellow-brass bell for a big sound with clear projection..
Yamaha YTR-6335 Professional Bb Standard Weight TrumpetYamaha's professional models are medium-weight for a perfect all-around playability. 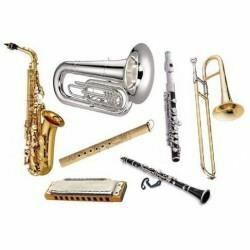 They're at home in any setting, from studio to big band, concert band, chamber group, or orchestra. The 6335 features a medium-large bore and a yellow-brass bel..
Yamaha YTR-4335GII Intermediate Bb TrumpetThe YTR-4335GII features a gold-brass bell that produces a richer, wider range of tonal colors. Durable yet light, the bell promotes easy endurance while playing. 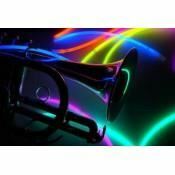 The richness of tone quality and free blowing feel make this trumpet a great vehicle for those ..
Yamaha Trumpet Bb YTR 2330SThe YTR2330 trumpet is the perfect starter instrument for students. 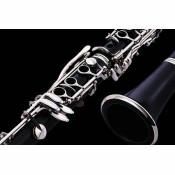 The main focus for the design was on a light and easy to play trumpet with a great sound and perfect intonation. Yamaha design instruments with an emphasis on the ergonomics so that they offer beginners op..
Yamaha YTR-2330 Standard Bb TrumpetThe two-piece bell of the YTR-2330 is crafted using state-of-the-art production methods, delivering a consistent, vibrant tone. The balanced weight and addition of an adjustable third valve trigger allows for a natural hand position and promotes proper playing tech..